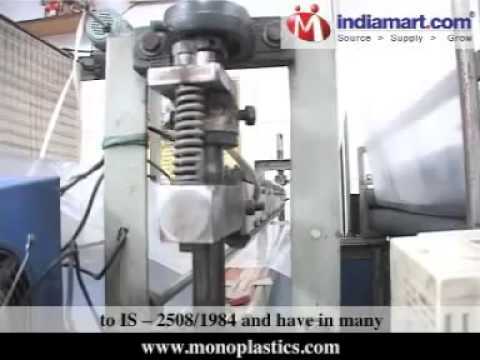 Established in 1987, we âMono Plastic Industries Private Limited&quot; an ISO 9001:2008 Certified Company we are one of the leading manufacturers and Supplier of LDPE & HDPE Wide Width films /sheets. Our products range includes LDPE Sheet, LDPE Bags & LDPE Rolls, HDPE Sheet, HM-HDPE, Agricultural Films & Newly introduced Pre â Opened Auto fill Bags majorly used in Auto industries. Our in house testing facilities ensure that our products conform to high standards of quality. Our production facilities and procedures conform to IS â 2508/1984 and have in many ways contributed to set set the new advanced packaging standards. We have highly skilled and competent staff and have in many ways contributed to set the new advanced packaging standards. We are manufacturing Polythene film upto 6 meter in width and HDPE film is size upto : 24 feet in Width Thickness range of 30 micron to 1500 microns. And we have a large set up and a product capacity of over 150 metric tons a month. We can arrange customized requirements for bulk orders. Our products find numerous applications such as in Pond Linning ,Canal linning , Land fill pit Linning , Reservoir linning, Linning used for Road construction, Building construction & Water Proofing etc and various other industrial applications. We have also helped many large organizations to cut their packaging costs through our expertise. Our films are manufacture under strict quality controls.